Here’s a cute little gif to get you excited about fitness. 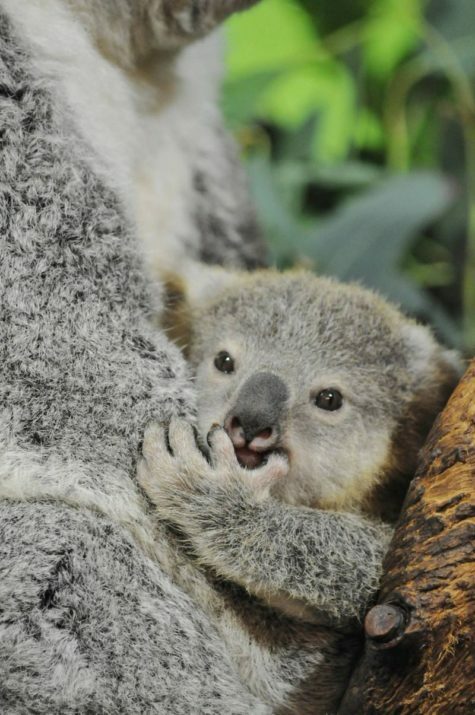 The birth of the new Koala is a rare occurrence for a zoo in the United States. 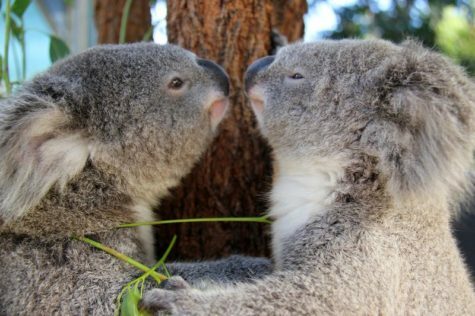 There is only an average of seven joeys born per year in 11 U.S. zoos with Koala exhibits, and only two were born in 2014. 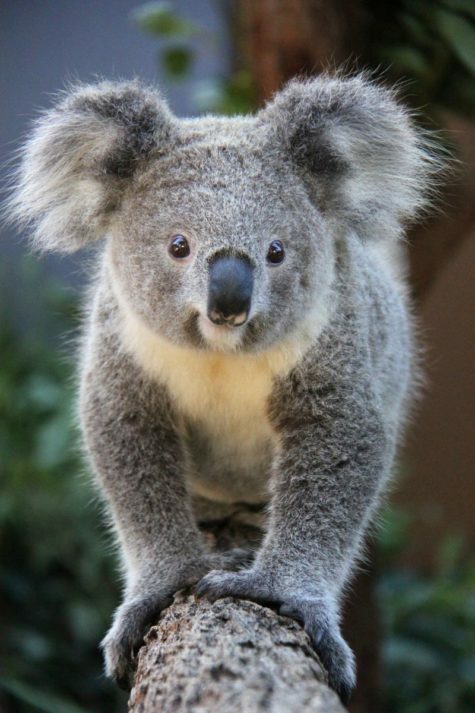 Native to Australia, the Koala’s closest living relative is the wombat. 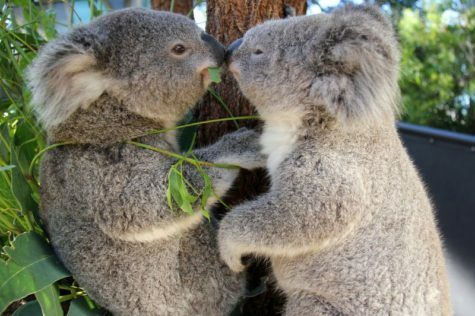 They are mostly nocturnal, marsupials that often sleep 18-20 hours each day. 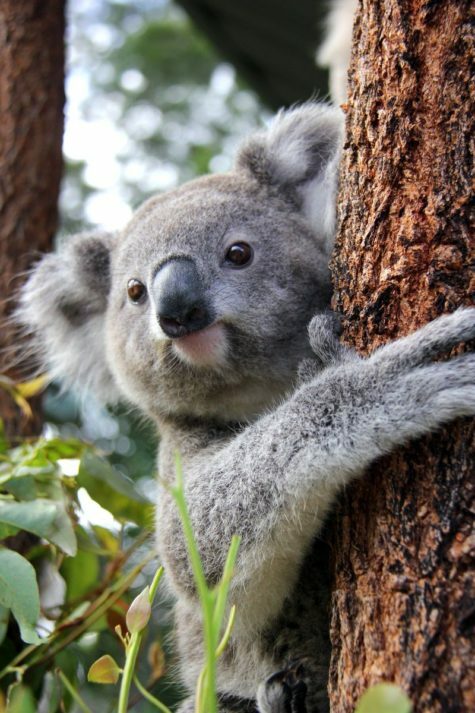 They prefer to live in the tall eucalypt forests and low eucalypt woodlands of mainland, eastern Australia and on some islands off the southern and eastern coasts. 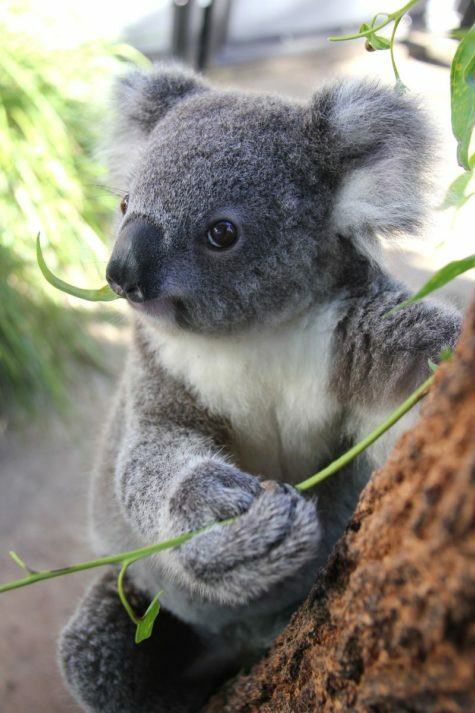 Although, there are well over 600 varieties of eucalypts, Koalas eat only some of these. 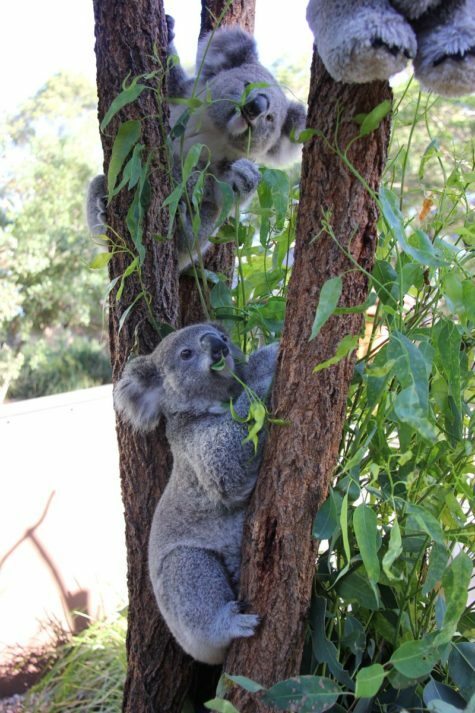 They are fussy eaters and have strong preferences for different types of gum leaves. In the wild, young females generally give birth to one young per year, and older females will generally reproduce every 2-3 years. 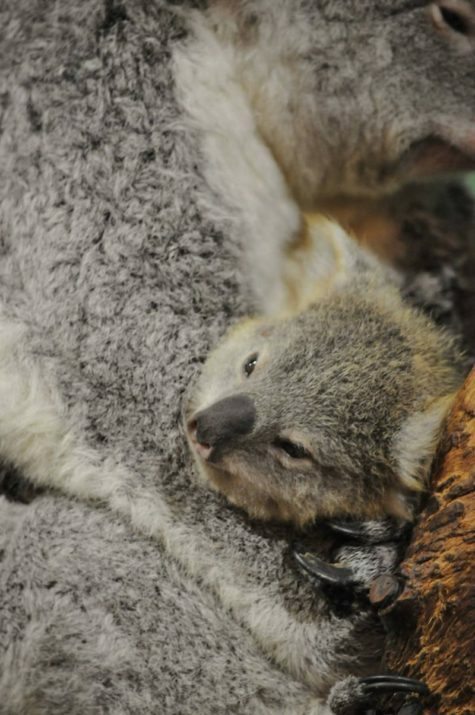 After a gestation period of about 30-35 days, the 2cm long blind and furless joey makes his journey to the mother’s pouch. 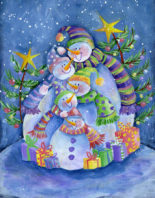 It relies on its well-developed senses of smell and touch and an inborn sense of direction. Once in the pouch, it attaches itself to one of the two teats. 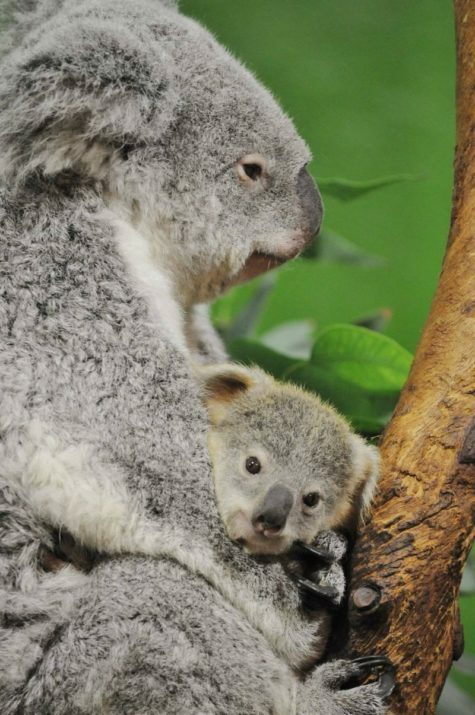 The joey stays in its mother’s pouch for about 6 to 7 months, drinking only milk. 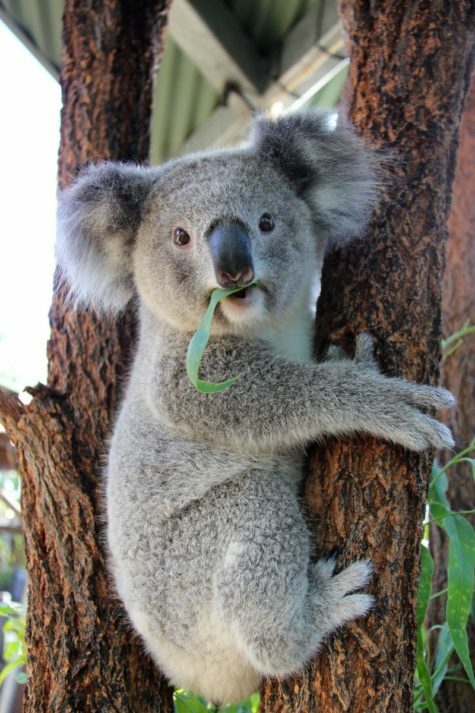 Before it can tolerate gum leaves, which are toxic for most mammals, the joey must feed on a substance called ‘pap’ which is a specialized form of the mother’s droppings that is soft and runny. 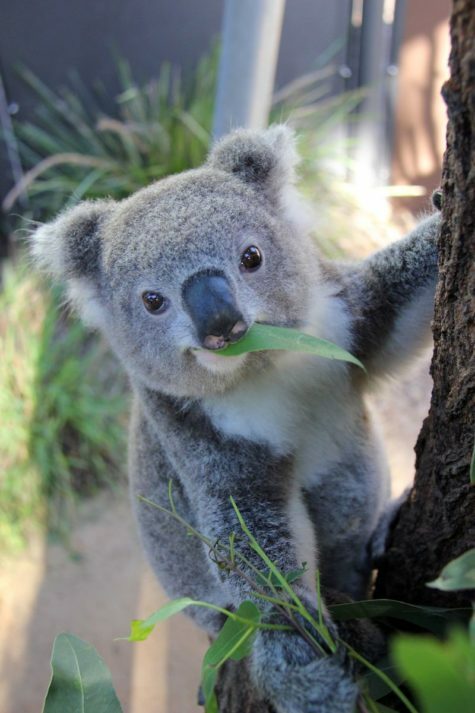 This allows the mother to pass on to the joey special micro-organisms from her intestine which are necessary for it to be able to digest the gum leaves. It feeds on this for a period of up to a few weeks, just prior to it coming out of the pouch. 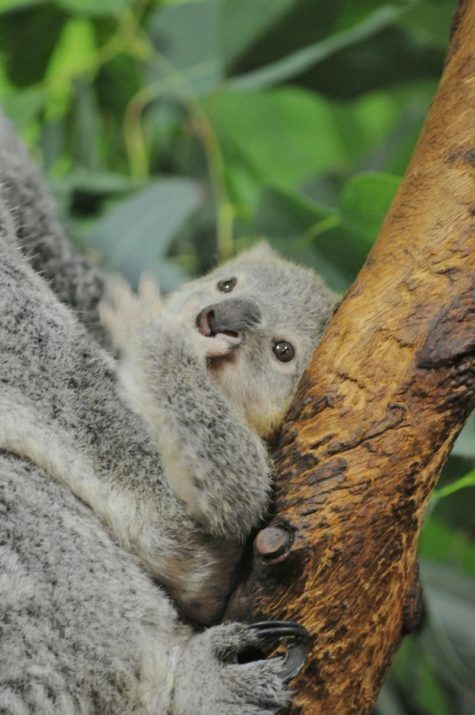 After emerging from the pouch, the joey will ride on its mother’s abdomen or back, and it will return to the pouch for milk until too big to fit inside. 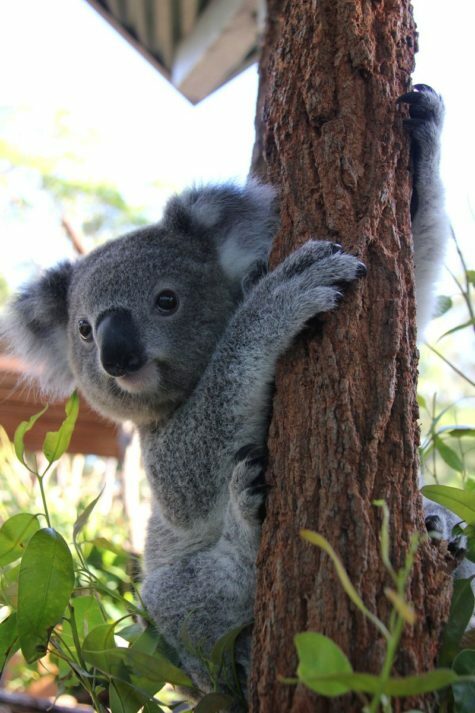 The joey leaves its mother’s home range between 1 and 3 years old, depending on when the mother has her next joey.